Seeing history firsthand reveals how Mercedes‑Benz continues to make history. With a heritage of unmatched richness, it's no surprise that Mercedes-Benz is a more than a frequent participant at the world's premier classic car events. Mercedes-Benz is also often a Concours d'Elegance sponsor. History's most rare and remarkable automobiles are displayed by private collectors and often the Mercedes-Benz Classic Center, for the joy of spectators and the scrutiny of esteemed judges. 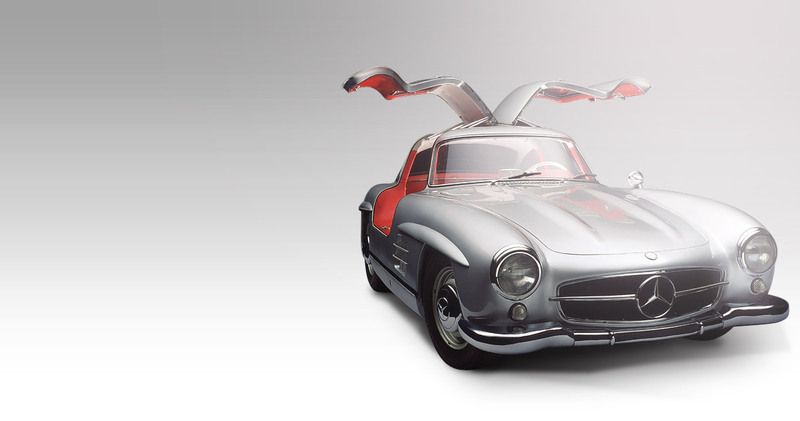 From distinctive coachbuilds to groundbreaking designs, it's a perfect opportunity to see firsthand how Mercedes-Benz has shaped the future since the beginning of the car. Each Concours promises a unique exhibition that is not to be missed, and never to be forgotten. The concours season officially opened with the Amelia Island Concours d'Elegance, held just off the coast of Northeast Florida. Founded by Mercedes-Benz 23 years ago, our history is always well represented by private collectors, and frequently in an official capacity by the Mercedes-Benz Classic Center -- whose stunning restoration work never ceases to draw a crowd. The Pebble Beach Concours d'Elegance is considered the most prominent vintage car show in the world. Besides featuring some of the most prized collector cars on earth, this annual celebration of the automobile takes place on the fairway of perhaps the best "finishing hole" in golf -- the 18th at Pebble Beach, overlooking the Pacific Ocean. Our Irvine, Calif. facility is a trusted classic car resource, with the expertise and commitment to fully restore your Mercedes-Benz.